I’m not looking forward to writing this review. I love Star Wars. I want every movie to be amazing and I want movies like Rogue One and Solo: A Star Wars Story to be just as good. The idea of films outside of the traditional Star Wars narrative has been something I’ve desperately wanted for almost my entire life. 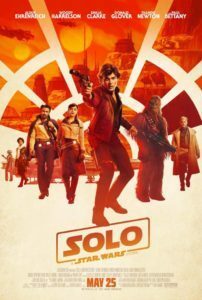 It pains me to say this but the short version of my review of Solo: A Star Wars Story is “well, it’s better than the prequels”. If that sounds like I’m damning with faint praise… well, I am. The movie is mediocre at best. There is some silver lining but let’s get the bad stuff out of the way first. Solo has had a pretty rocky production with directors Chris Miller and Phil Lord being fired from the movie and replaced by Ron Howard. Yet, I can’t in all honesty lay the blame at any of their feet. Nor does it seem like it is Kathleen Kennedy’s fault although she should bear some of the blame being the head of Lucasfilm and ultimately responsible for the Star Wars property. The people that I blame are The Empire Strikes Back and Raiders of the Lost Ark screenwriter Lawrence Kasdan who teamed up with his son Jon Kasdan to write this movie. Of all the possible weak links this film had to navigate it didn’t occur to me that the Kasdan’s would be the biggest problem. The story is just bad. There isn’t much of a plot and the pacing is all over the place. 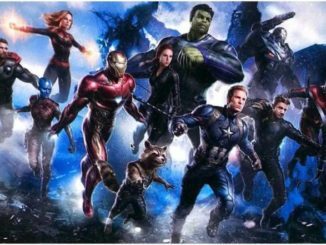 As a heist movie it skips over the best parts of a heist movie like putting a team together (they kind of just happen) and there isn’t any planning or piecing a plan together. 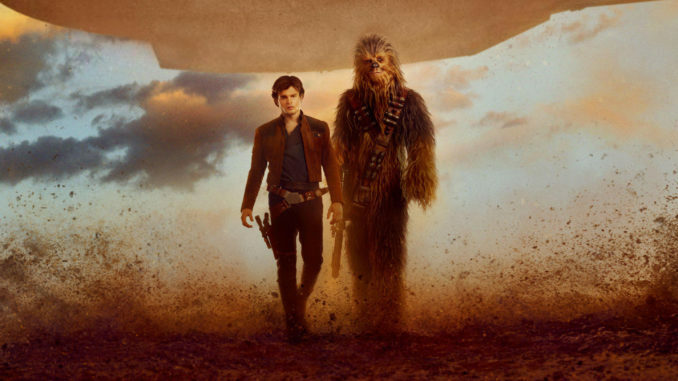 The film does give us those moments spoken about Han’s past like making the Kessel Run in 12 parsecs but a lot of that felt more like checking boxes that needed to be checked rather than adding to the story. I’m not saying they should have been left out, they just felt like they were shoved in. 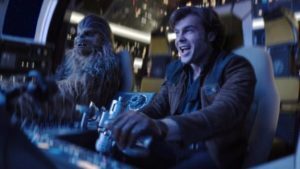 So, yes, the story for Solo wasn’t any good but the experience wasn’t completely bad. Ron Howard is a very capable director and he painted a really run down galaxy. I think this movie really shows how awful the galaxy is during the Empire from a regular citizen’s point of view that we’ve never experienced before. 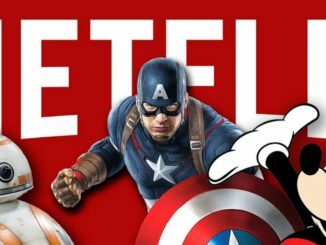 The action is well shot and for a movie like Star Wars that’s a pretty important element. But it is the cast that is the saving grace of this movie. Donald Glover is as fantastic as Lando Calrissian and steals every scene he’s in. The supporting cast from Woody Harrelson to Emilia Clarke do a good job in their roles. The biggest surprise I found, however, is that Alden Ehrenreich is fantastic as a young Han Solo — more so than I ever thought he would be, by far. He nailed the character as a more youthful and naive version of what we were introduced to in A New Hope. And this is where we get into the silver lining of the movie. While this film itself wasn’t that great, it did check off all of those boxes that needed to be checked creating a blank canvas for a far better sequel. Where the movie leaves some of the characters off is very interesting near the end making it ripe to explore. The elements are there for a worthy Han Solo movie, they just need to make it.